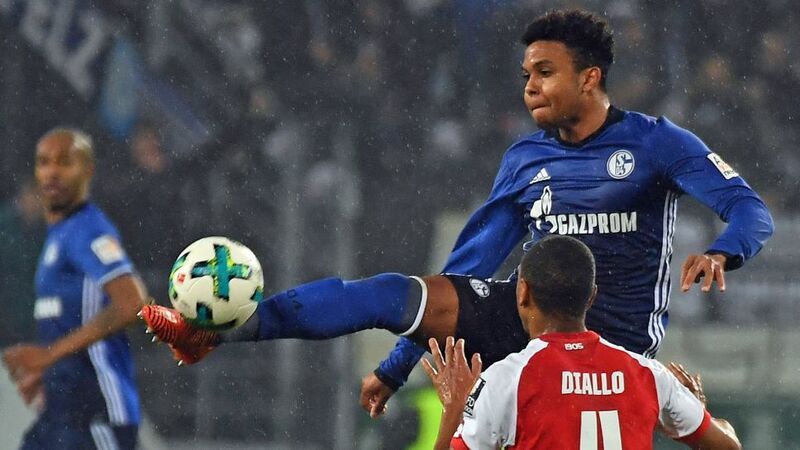 Bundesliga | Schalke's Weston McKennie: "If I'm called up to the USMNT I'll prove I belong there"
Schalke's Weston McKennie: "If I'm called up to the USMNT I'll prove I belong there"
Having established himself in the Bundesliga this season, Schalke midfielder Weston McKennie is determined to prove his worth on the international stage too, stating his desire for a place in the USA national team. The Texas native, who recently returned after six weeks out with a knee injury, played the full 90 minutes of his side's 1-0 victory over Mainz on Matchday 26, a victory that keeps the Royal Blues in second place behind Bayern Munich. Asked after the final whistle about his hopes of a call-up to the USA squad to face Paraguay in the upcoming international break later this month, the 19-year-old said: "You never know because we have good people in the preliminary roster. We also have young people that are coming up that are always making an impact, making a statement whenever they do come in. It'll be exciting if I do get the call-up. I hope I do, and if I do then I'll prove I belong there." Watch: McKennie on his USA chances! McKennie is enjoying an outstanding first full season in Germany's top flight. After making his first team debut at the end of the 2016/17 campaign, he was promoted to the senior Schalke squad last summer and has featured 16 times in the league, starting 10 times. He has earned one senior cap for the USA so far, scoring on his debut in a 1-1 draw with Portugal in November 2017.